Saint Francis’ message of universal love, peace, tolerance and unity made him perhaps the most fascinating spiritual figure of the West in the last millennium. Mahatma Gandhi exalted him as one of the greatest sages to have ever lived. His radiant presence is still felt today as the intense spiritual atmosphere of the small medieval town of Assisi where he lived. Swami Atmananda invites us to join him in this auspicious setting to explore the nature of spiritual awakening through the fundamental concepts of Non-Duality. We will uncover and contemplate the universal Truth that lies at the centre of both Advaita Vedanta and Christian mysticism. The presence of the Poverello (the “Little Poor One”, as St. Francis was known) is an invitation to discover the infinite space of the Heart as our innermost Self. As our spiritual inquiry deepens, our attention is freed from the habitual tendencies of the mind and can return to the source of our awareness itself. In this profound recognition of that wich is always present, we can discover our true nature as pure Consciousness. The three-day Retreat will consist of conscious morning walks, group meditation sessions (preceded by an introduction), and teachings followed by dialogue with participants. There will be French and English translation available for all participants. 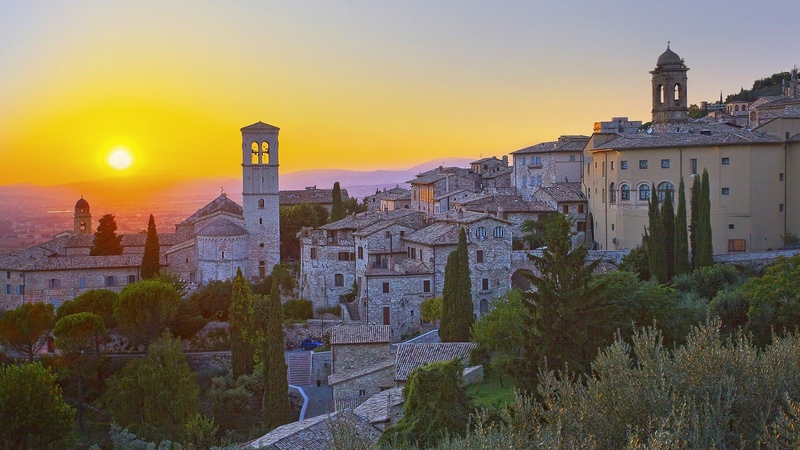 Our focus will be on remaining with our own inner silence in order to take full advantage of the spiritual energy of Assisi, which has a rich history as a place of initiation and inner awakening. Dates: From Saturday November 30th at 7:30 pm (arrival is possible from 4 pm onwards) to Wednesday December 4th 2019 at 10 am. For practical information, see the page: PRACTICAL INFORMATION AND REGISTRATION (this link will be activated in mid-June 2019). Registration should be done preferably on this page. The retreat will be preceded by an optional 3-day pilgrimage from Wednesday 27, 12:00 pm to Saturday 30 November 2019, 2:00 pm; details will be posted online by the end of March. We offer you the possibility to pre-register for the Retreat – by using the following form – without any obligation on your part: you can contact us with any additional questions you may have: amis.ajatananda@gmail.com. In case of pre-registration, we will inform you as soon as the registrations are open.